PhET is a very good platform that offers free interactive simulations to help students develop a an informed understanding of a variety of phenomena covering science, physics and math. These simulations come to life via the use of graphics, interactive controls, sliders and radio buttons. Students can easily manipulate its intuitive interface and even get animated feedback and responses as they navigate their way through simulations. All of the simulations provided by PhET are free to use and can be easily integrated in your classroom instruction. To be able to access them you need to make sure your browser runs Flash and Java because all of these interactive simulations are written in Java and Flash. 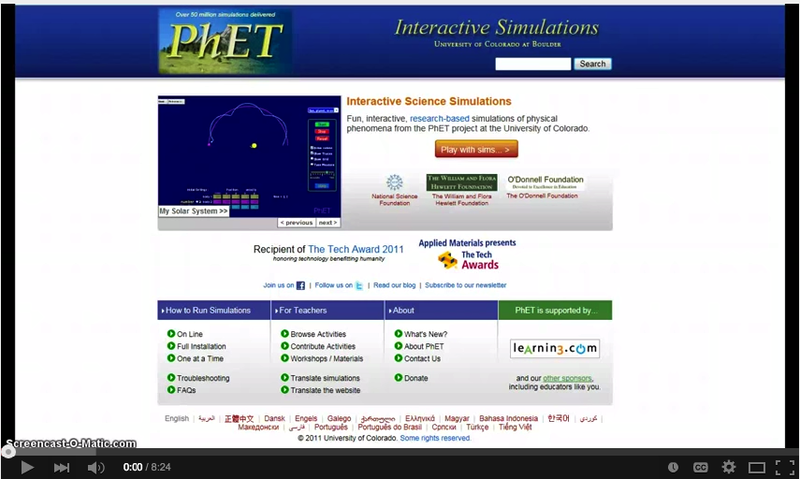 Watch this video to learn more about PhET interactive simulations.